Find one to fit any room décor and size. Serene House diffusers are designed to gently release soothing fragrance for any sized room. Some diffusers have timers, so you can customize the usage time that best suits your environment. There’s nothing better than a well-scented home, and with the aromatherapy benefits of essential oils, you’ll be giving the gift of a stress-free, relaxed household. Looking for a good essential oil to pair with that diffuser? Our No. 107 Essential Oil blend was created to smell just like our store. Similar to the home spray, this oil is created with fresh notes of grapefruit, lavender, patchouli, and ylang ylang to create an uplifting scent loved by all. You will shorten drying time, soften fabric, and reduce static with these 100% Premium New Zealand wool dryer balls. 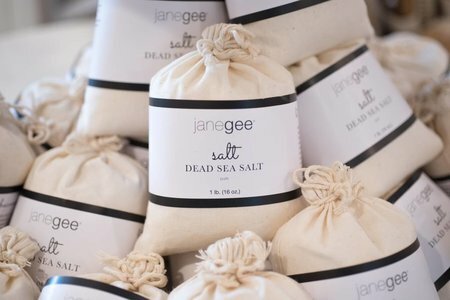 janegee dryer balls are all-natural, with no synthetic fibers or chemicals used. They will not unravel and will last for years. Wool dryer balls are quieter and gentler on clothing than plastic dryer balls. Using dryer balls saves your dryer from residues left from chemical fabric softeners. Add your favorite essential oil to gently scent your clothes. The janegee family works hard to bring you the best wool dryer balls at the best price. Get rid of those chemical-laden products and try these fabulous wool balls. janegee pure aromatherapy soap is rich in antioxidants, and skin loving vitamins and nutrients. Our soaps will clean, hydrate and moisturize. The Soap on a Rope was made for a client who wanted the smell of the store. Made up of 7 cubes of soap, each coming from a different scent profile. Great used as guest soaps or simply hung in your bathroom, closet, or car for a light fresh scent. This would also be a great way for someone to try out a variety of scents to learn which one is their favorite. Refresh your space naturally and welcome in the good chi. Mystics say the Native American practice of smudging or purifying a room with the smoke of sacred herbs and oils, can help clear negative energy from a space. When burned, sage and other herbs release negative ions, which will clear the space and create a positive mood. With a blend of frankincense, lavender, peppermint and sage, this candle will do just that! As always, do not hesitate to reach out if you need help putting a gift together this holiday season! Common Good was founded with the goal to reduce the amount of single-use plastic that is produced and used around the world. Their plant-based, biodegradable products were launched in 2011. They also offer refills on their products at stations nationwide. All Common Good Co. products are Leaping Bunny certified and safe to use around kids and pets. Our foaming hand wash is so gentle and moisturizing on your skin. We made it with organic Saponified Organic Coconut, Olive and Jojoba Oil, pure essential oils, Organic Aloe Vera, and Rosemary extract. 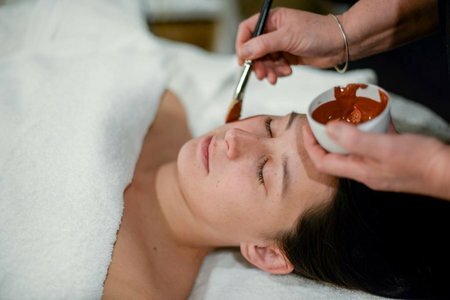 The best part… it won’t dry out your skin! These soap dishes were custom made for janegee by Elizabeth Benotti, you won’t find them anywhere else! Each one is beautifully hand made by Elizabeth in her ceramics studio in Rollinsford, NH. They would make perfect gifts for anyone who appreciates locally made items.